Fire & Explosion Prevention is essential to any operational site, factory, plant, workshop, demolition project, fire or flood damaged property. Knowing exactly what hazardous substances reside on the premises or have been inadvertently discharged or washed into the drainage system or have migrated from one floor level to another into confined spaces and voids is vital. In the first instance an inventory of all known products, substances and materials must be plotted against a plan of the site to visually identify dangerous or potentially dangerous areas that will require additional resources and control measures. 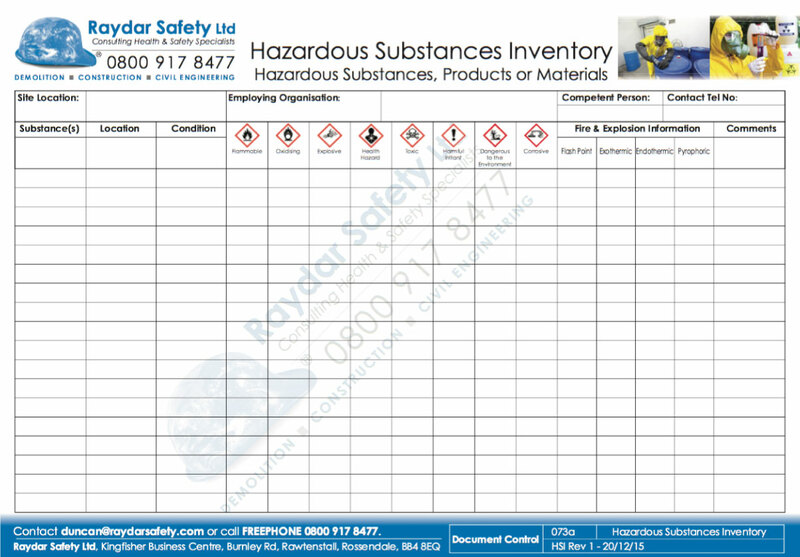 Download for FREE our Hazardous Substances Inventory to help you identify the known risks.